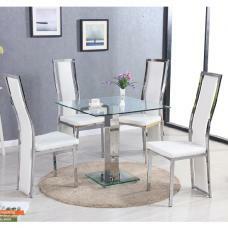 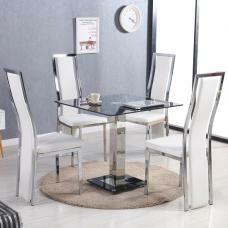 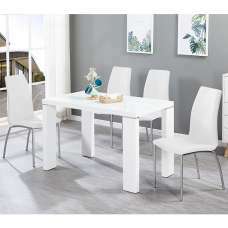 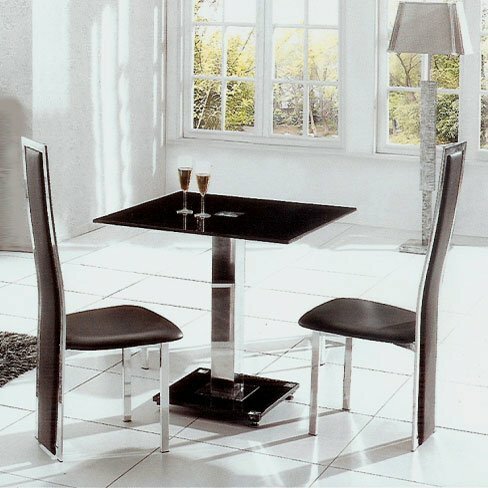 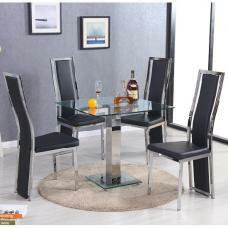 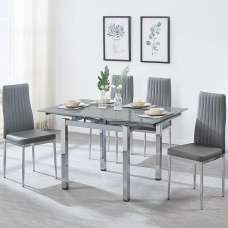 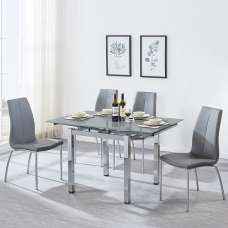 If you are looking forward for redecorating your kitchen, dining room or adding space, then this Square Ice Black Dining Table set is the most appropriate option. 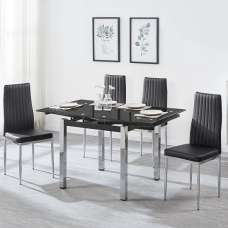 It is extremely easy to maintain. 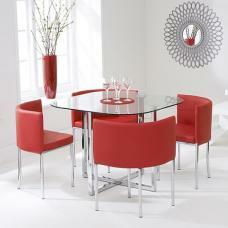 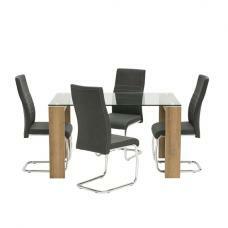 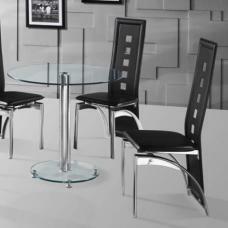 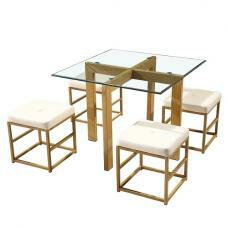 It is designed with sleek black glass top, well built chrome column support, 4 modern chairs with high back, chrome legs and brown faux leather seat.